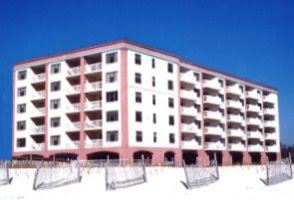 Perdido Key Florida condo for sale at Vista del Mar. Luxury beachfront residence with unobstructed views of the Gulf of Mexico and sugar-white beaches, situated adjacent to the Gulf Islands National Seashore. Low-density development with only 64 beach homes, you can enjoy uncrowded beaches and stunning interiors and open floor-plan to take advantage of all the views via the floor-to-ceiling glass – the large private balcony balcony has a gas-grill, ideal for entertaining family and friends. This gated community has assigned covered parking & an owners’ storage room. The community amenities feature an outdoor pool with oasis and a spacious gulf-front deck, hot-tub, outdoor covered seating areas, indoor heated pool, exercise facility, yoga studio, massage treatments rooms, climate controlled storage, and much more. Club room is perfect for socializing, with a fireplace, bar, pool tables, and HDTVs. So much more – come see this incredible resort home today!